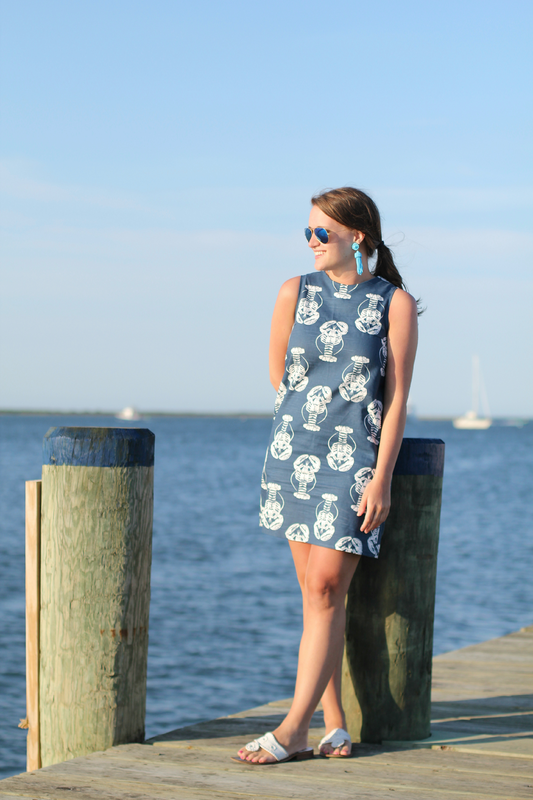 This is sadly my last outfit post from my trip to Nantucket (which was only a month ago). 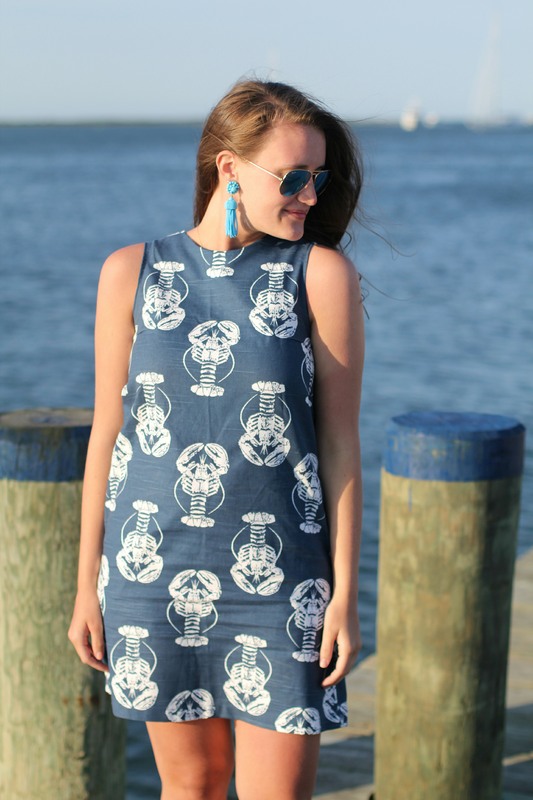 This Love, Lilly wh dress was the perfect dress for our trip. I couldn't tell you how much lobster and lobster rolls I ate on vacation. I'm never one to wear what I eat, but this is the exception. 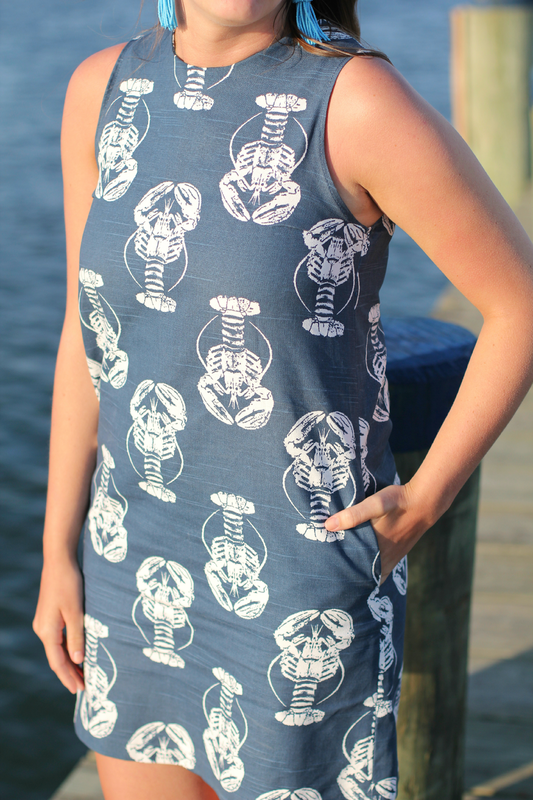 Any shift dress (with pockets mind you) is the dress for me. 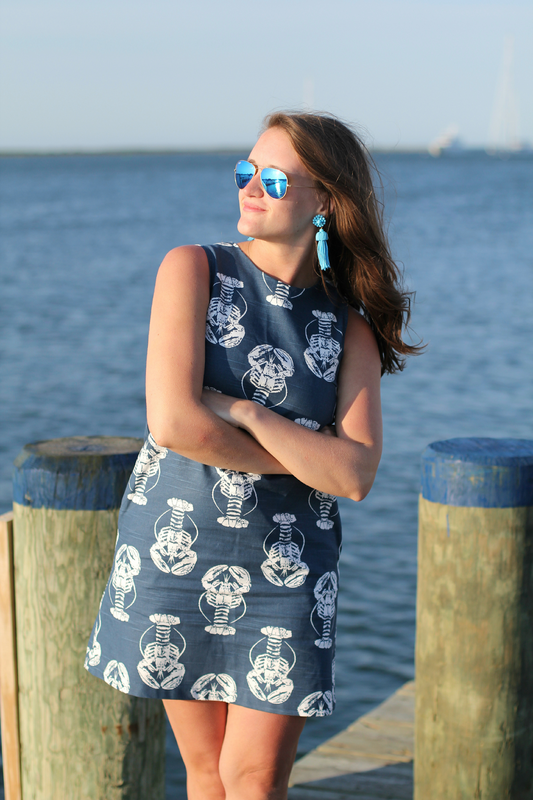 You can shop more Love, Lilly on Tuckernuck! I also grabbed these earrings from Tnuck too. The turquoise, like I've said before, is a go-to. I love color blocking -- especially when it's blue. I will apologize for the natty hair. This was after our sailboat ride and before dinner. The wind is not a friend to my hair! Such a cute look! Love the third picture with the water in the reflection of your sunglasses!! 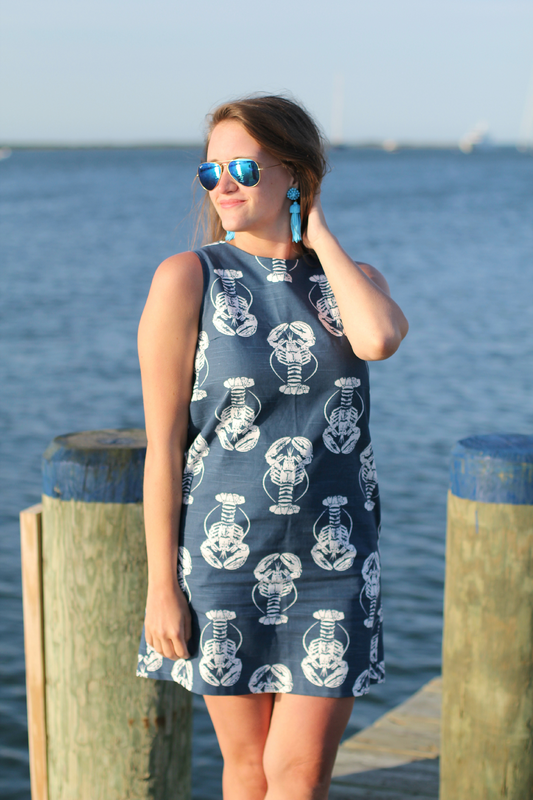 Love how you paired the turquoise with the navy, so cute! Gah I looove those tassel earrings! I've been eyeing them.